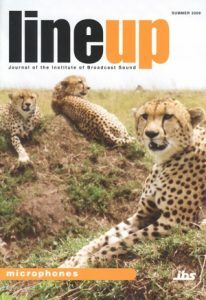 Line Up was the journal of the Institute and was the authoritative craft magazine for anyone working in audio for radio, television and the internet - written for audio professionals by current practitioners. The Summer 2009 issue was the last to be published in print format. 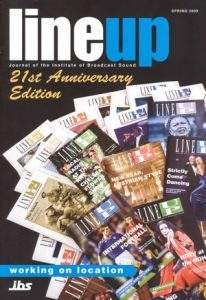 As of February 2010 Line Up became an on-line supplement to Resolution magazine, focusing on audio for broadcast TV and radio but as of 2017 has stopped. IPS members are entitled to a free subscription to Resolution print magazine. This full archive is a labour of love by Hugh Robjohns (ex Line Up editor) to coincide with the 40th Anniversary of IPS. Individual article pdfs are also available for most years and will also likely be offered as themed collections on specific topics (e.g. metering, timecode, RF). NB The web display is a work in progress and will evolve. The Institute of Professional Sound Ltd.